I’ve decided to do just that. Take my writing to the streets of the web. Are you ready for romance ? Where does a good romance come from? Romance is everywhere you only need to look. Who would read romance if I wrote it? But wait – this is my job! drink in hand, and the romance comes alive. If I’m lucky I will write and get your attention. best in confessions, short stories and novellas ! ♥ Makyla Campbell was looking for love in all the wrong places. The first man in her life left her feeling empty. She hurried eloped with another man. This failed leaving her with a child with no place else to go except back home. She meets handsome Spencer Hines, but learns too late that he will never be free of his first wife. She is left alone again only to find her soul mate in the most astonishing place. 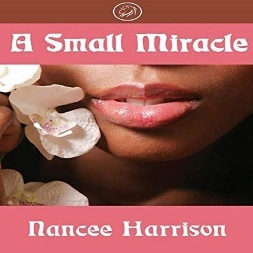 Makyla finds a small gift box that makes her believe in small miracles. Entry filed under: Romance. Tags: Lifestyle, Romance. I can’t wait to read your next story. Do you know what you will be writing about next?